Fabian Socialist, Tony Blair is in hot water over plans to cede further British sovereignty to the EU. The Prime Minister has welcomed controversial plans to bring back the troubled EU constitution by the back door - totally bypassing the need for public referendums on sweeping new powers for Brussels. German chancellor Angela Merkel has suggested ditching the name "constitution" from the title and instead calling it an "amending treaty" - to avoid having to seek the approval of voters. French and Dutch voters rejected the original plan - which would hand Brussels the power to represent individual countries at the UN and change national laws - two years ago. Britain's voting rights would be reduced by a third under the scheme and our hard-won veto on European directives would be torn up. 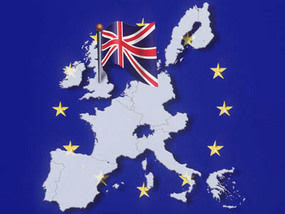 Britain could also lose the right to impose quotas on immigration. Shadow Foreign Secretary William Hague said: "If Tony Blair thinks he can hoodwink the British people by smuggling in the rejected EU consitution under another name, he had better think again. "He underestimates the British people. They will see right through any shabby stitch-up. "If the Labour Government sign up to a new treaty that takes powers from Britain and hands them over to the EU, the British people must have the final say in a referendum." The Germans believe "as much of the substance of the constitution as possible" should be kept, renamed and put into law. Scrapping the name will help Mr Blair reach agreement at what will be his last EU Summit and virtually his last public duty before handing over to Gordon Brown. But the document makes no reference to one of Mr Blair's previous key demands - an "opt-out" from a shift to more joint European decisions affecting criminal law and justice. A Government spokeswoman welcomed the latest approach to what is being billed as one of the most important EU Summit gatherings for years. "We fully support the German Presidency's desire to reach agreement on institutional reform", she said. We welcome their proposal to return to the classical method of treaty change whereby the existing treaties would be amended. We believe an amending treaty should help to make the EU more efficient. The more effectively the EU works together, the more that it is in our national interest as well as our international interests." The German plan talks about calling the result of any Summit agreement a ÒTreaty on the function of the UnionÓ - removing the federalist implications which have been plaguing efforts to get EU reform plans back on track. But the report makes clear the EU would still develop a "single legal personality" - a bid to give the EU collectively more weight on the world stage, and fuelling Eurosceptic fears of a further whittling away of national status in Europe. On the Summit agenda will be the removal from any new reform document of other contentious plans, such as promoting the EU flag and EU anthem. But the German Presidency expects to see a "charter of fundamental rights" given legal force as part of any reform package. EU foreign ministers meet in Luxembourg on Sunday for a first discussion of the options. EU leaders gather in Brussels next Thursday, prepared to launch "an intergovernmental conference" on the details of a new treaty if they can agree the outline. The network of Fabian Socialists and pro-Communist types in Europe are ahead of the game with their North American counterparts who wish to do something similar with Canada, U.S. and Mexico as how Once Upon a Time in the West blog exposes such a thing. This is the same sort of rhetoric also coming out from the mouth of Hugo Chavez, and one of his mini-mes Evo Morales who have also voiced something similar on the lines of a EU super state, but for a Latin/South American orientation. This is bad news written all over it for the American Constitution and for the rest of the Western world. What next, Union of Oceania? Nero said: "I would that humanity had a single neck so I could cut it." Few of us would accept the immediate imposition of the one-world socialist government and the consequent trampling of the national sovereignty we currently enjoy. The socialist agenda is therefore to create a number of regional groupings to psychologically prepare us for supra-national collectivism, since we would more readily yield national sovereignty to a regional entity than to a global entity. Once there are no more than half a dozen neck(or leashes) rather than several hundred, they will all be gathered together under the one world government. Blair (that real life grubby little socialist) is a traitor to Great Britain and to the Classical Liberal ideals of John Locke and Adam Smith. He should be hanged at Traitors' Gate! Very odd.... Nevermind Mah thinks I am a commie type.... (From Russia or something... silly old fart!) "Typical" as Mah would say.